The 62-year-old Spaniard took over reins of Spanish second-division club Granada CF in May 2018. 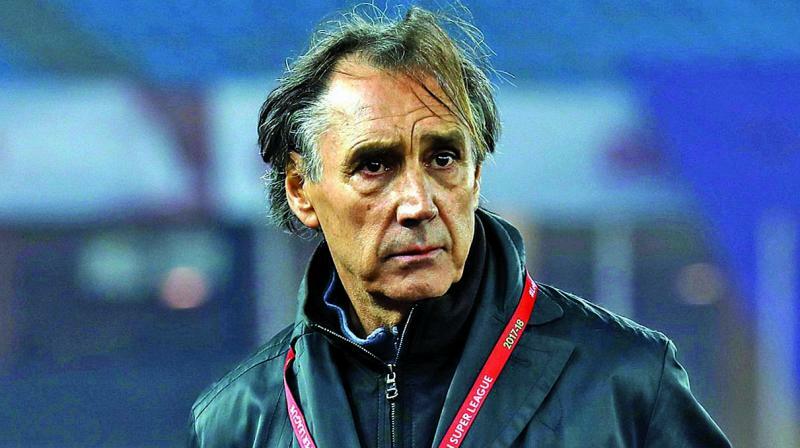 FC Pune City on Thursday signed Miguel Angel Portugal as the head coach of the club for the 2018-19 season. Portugal will be joined by his assistant Gonzalo Yarza in preparations to lead the Stallions to glory in the upcoming season. The 62-year-old Spaniard took over reins of Spanish second-division club Granada CF in May 2018 after spending 2017-18 season with Delhi Dynamos FC. “The discussions that I had with the Club were extremely insightful, exciting and the plans the club has, especially with regards to development of young Indian players are very refreshing. I am sure that while we gear up for being serious contenders this season of ISL, we will lay down equal emphasis to continue and build on the work of developing and promoting young players from the Club’s reserves and youth teams,” he added.